When it comes to t ransparency and understanding who represents whom, the financial service industry could learn a lot from the real estate industry. When you are a customer, the salesperson’s job is to sell you a product or a service. While salespeople and their companies have a duty to be honest and fair with you, they don’t have a duty to put your interests ahead of theirs. It’s your job to evaluate their claims and products, then to make an informed decision whether or not to buy. A client relationship is much different. In this case you are typically buying, not a product, but the wisdom and services of an advocate. This is similar to the relationship you have with people in the legal, medical, and mental health professions. It’s the job of the professionals to put your needs above theirs. When professionals call you their “client,” it means they have a fiduciary duty to put your best interests first and be your advocate. In some cases, like buying or selling a house, you get to choose whether to be a customer or a client. About thirty years ago the real estate industry was where the financial services industry is today. Many buyers or sellers were unclear, when they retained a real estate agent, as to the agent’s fiduciary duty. Even though an agent might show a buyer scores of houses, the agent technically worked for the seller. This was confusing, especially to buyers who often thought of the agent who hauled them around for days showing them houses as “their” agent. It was equally confusing to real estate agents, who often worked “for” the buyer even though their fiduciary duty was to the seller. That is no longer the situation in most states today. Real estate agents must give you the choice of having the real estate agent work for you (where you will be the client) or work for the other party (where you will be the customer). 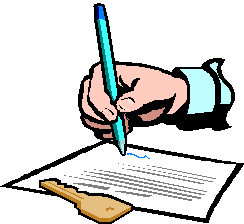 In some cases the agent is allowed to work for both buyer and seller, meaning the agent isn’t working for either party. 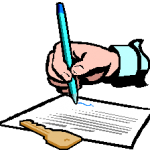 The agents are required to disclose fully whether you are the customer or the client. If you are the customer, you have the opportunity to retain and become the client of your own agent. Ironically, despite all the recent public outcry about reforms in the financial service industry, little to no transparency or disclosure is required of financial product salespeople. A survey conducted in August 2010 by ORC/Infogroup, as reported by the Dow Jones Newswires, found that many investors are confused about which financial professionals are held to a fiduciary standard. Some 77% of consumers believed “their” financial advisors had a fiduciary duty to put their interests first. In actuality, less than 20% of the advisors were fiduciaries. Most consumers thought they were clients, but they were actually customers. This is especially serious, since most people are left thinking they are getting unbiased financial advice when they are actually getting a sales pitch. Why is the financial services industry so far behind the real estate industry when it comes to transparency and disclosure? Probably because the financial services industry is far more consolidated than the real estate industry and has a lot of influence on Capitol Hill. For now, the push for transparency is up to consumers. Don’t assume you are a client rather than a customer. Ask. Insist on clear answers, and go elsewhere if you fail to get them. Demand the same level of disclosure from a financial services professional that you would get from a real estate professional. Wonderful piece,as usual. It was particularly important to me as I was the Government Relations Director for FPAMA.org. Would you consider sharing this with Steve at Proctor Financial, My replacement. Your words are concise but make several great points. Good article and good advice. Stay away from firms that seem hesitant to disclose everything. In some cases you ARE buying a house, the one you already own.